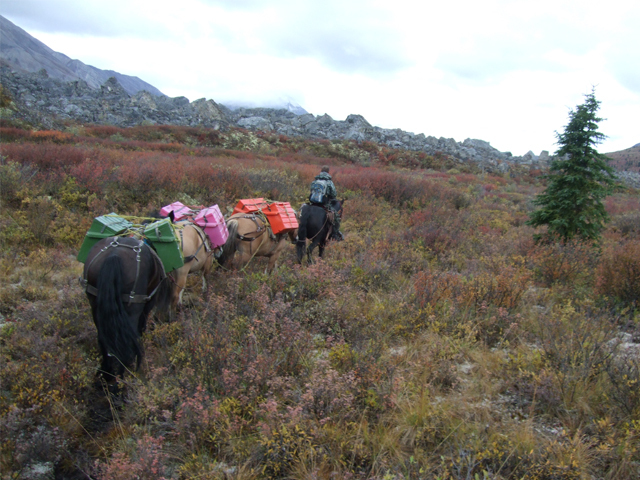 The moose hunt in Yukon is performed by our partner on horseback. Here, the hunter flies in the beginning to one of the two main camps by float plane and the next morning the guide rides with the hunter in the selected hunting area. In the hunting area a spikecamp with tents will be set up from where hunting for moose takes place. 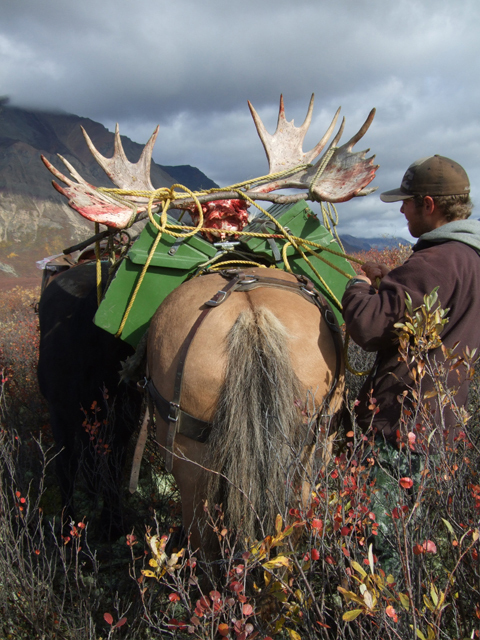 The hunt starts in the morning after sunrise, after a breakfast you are riding to known moose places and from elevated spots the area is checked if you see moose. As soon as a matching moose is in sight it will be stalked and killed. Also for the hunt for Dall sheep horses are used. Compared to moose hunting, however, the Dallschafjagd requires far better condition since every day the mountains have to be climbed to look for Dall sheep and here also you walk a lot on foot. The dall sheep hunt is partly done from the main camp and partly as in the moose hunting from the Spikecamp. The hunt starts in the morning after sunrise, after a breakfast you are riding to known Dall sheep spots and the mountains are checked for Dall sheep. As soon as a suitable dall sheep ram is in sight this is stalked and killed, in the dall sheep hunt you must be prepared for wide shots, corresponding rapid caliber with extended power are recommended. 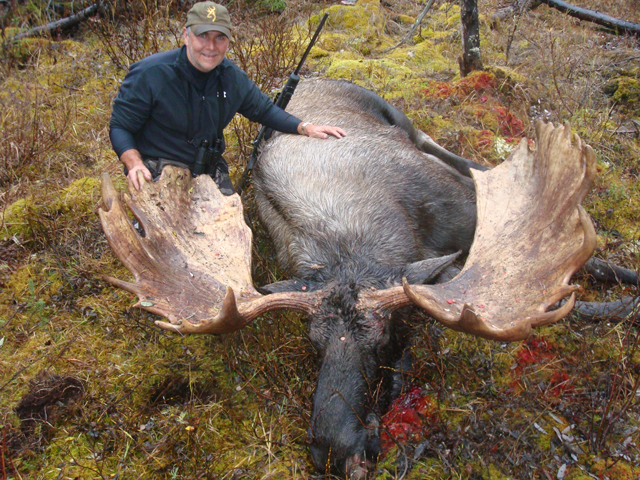 Both moose hunting and dall sheep hunting can be combined with Caribou and Grizzly. The arrival in the hunting area takes place by scheduled flight to Whitehorse. Condor offers direct flights from Europe at some times, alternatively via Vancouver with Air Canada or Lufthansa to Whitehorse. If you have any questions or are interested in an offer to hunt in Yukon/ Canada, please contact us via Email or contact form.